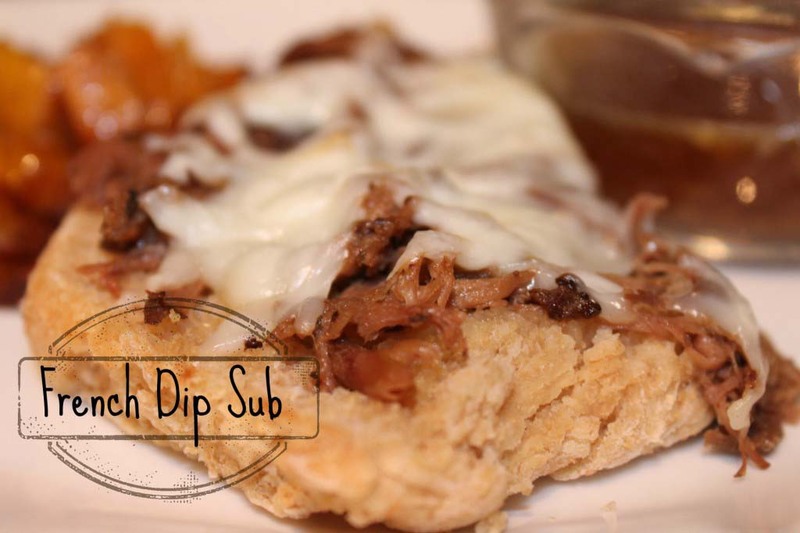 Get ready for cheesesteak sandwiches with a southwest flair. I made these fantastic easy, grilled steak sandwiches with a homemade South west rub I stow away in the freezer. This recipe took thirty minutes from start to finish and less time to devour. 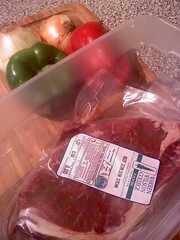 I thawed a 1.27# steak in my plastic thawing box (which is a 6 qt. shoe box). 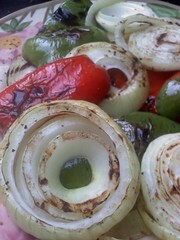 I sliced peppers and onions. 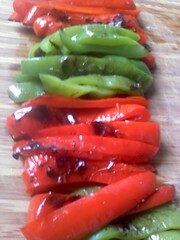 I actually sliced the peppers into fourths lengthwise, because I plan to grill the skin. 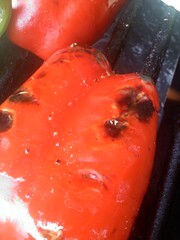 I grill the peppers until they are slightly charred. 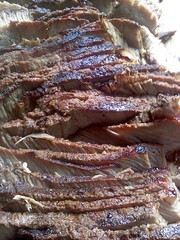 I place the thick sliced onions straight on the grate as well. 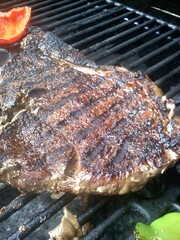 Don’t flip the steak more than once and use a thermometer if you like it medium or rare. 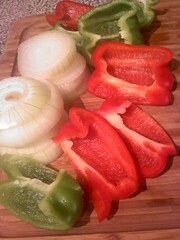 I slice the peppers into strips and separate the onion slices for the sandwiches. Ahhh, the flavors from the Southwest rub will cause your neighbors come running (at least asking to borrow something for a closer whiff) I allow the meat to rest on a chopping board for at least five minutes and then I cut into thin slices. I’m ready to toast some buns. 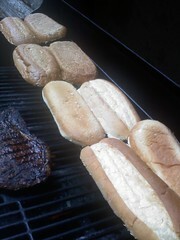 Hoagie buns that is. I put mine on the top rack and watched them closely. Set them aside. 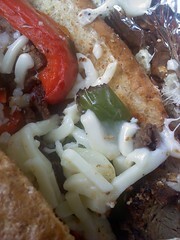 Time to pile on the fun stuff: steak, peppers and onions and mozzarella cheese. Provolone is great too. Use what you got. 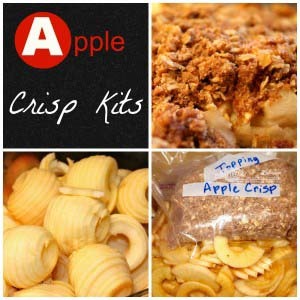 I wrap mine in foil and set them on a low flame to melt the cheese inside. 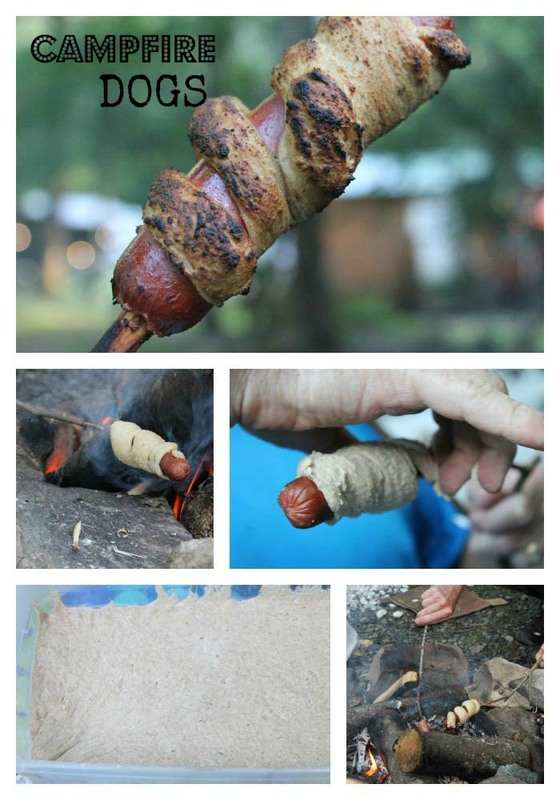 This is going to be my next camping sandwich. Heat for five minutes and open to a nice hot, delicious sandwich. 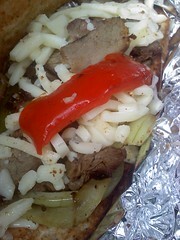 A 1 pound steak and two peppers with a large onion generously makes six hoagies. You might even have a few leftovers for fajitas or quesadillas for two if you grill a steak over a pound. 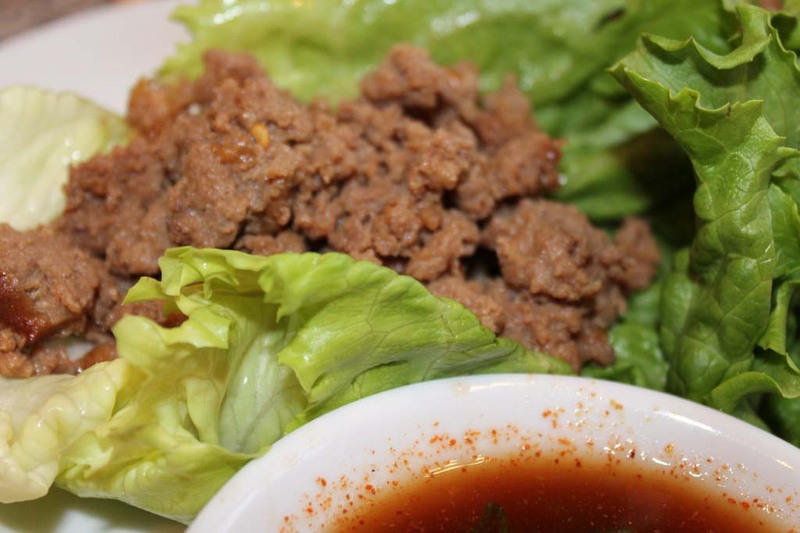 This is another way to implement meat without breaking the bank. Cheesesteak sandwiches are a great option for cutting back on meat costs. 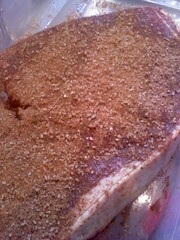 Rub southwest seasoning onto steak. 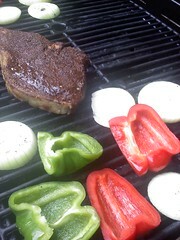 Grill peppers, onions and steak whole. 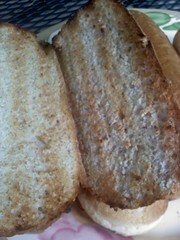 Slice and portion between six toasted hoagie rolls. Top with provolone or mozzarella cheese. 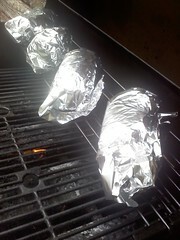 Wrap in foil and heat for five minutes if desired. 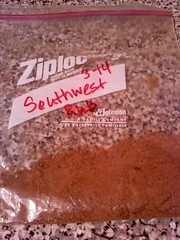 I can’t wait to prep my next steak with the southwest seasoning BEFORE I freeze and take it camping or on our family vacation. When would you serve this super sandwich? 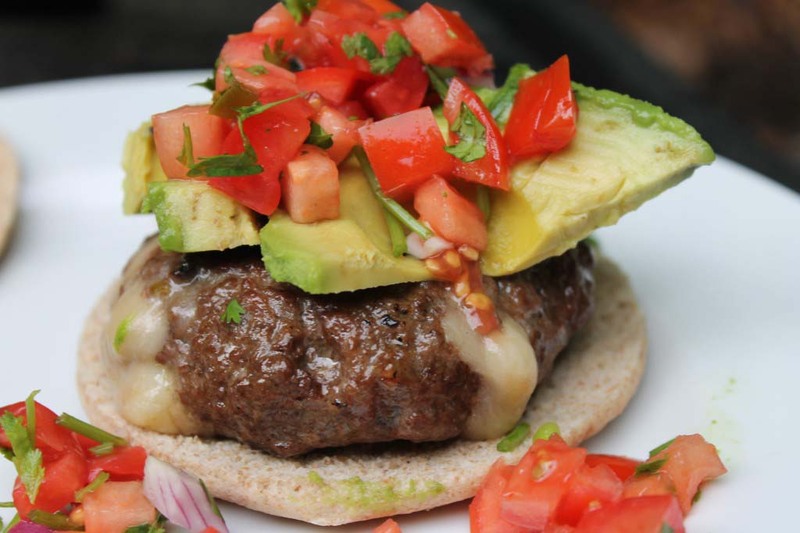 This entry was posted in Beef, Burgers + Sandwiches + Pizza + Wraps and tagged grilled onions and peppers, grilled steak and cheese sandwiches on 08.06.2011 by admin.